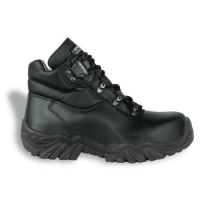 Ergonomically designed to offer hygiene, traction, safety and prolonged standing footwear solutions. Machine washable at 30°C to ensure stringent clinical and food industry hygiene standards. Easy to wipe clean to prevent cross-contamination. Can be considered in the same way as any cloth in order to plan periodical washing. Revolutionary bonded antimicrobial technology, AEGIS Microbe Shield® provides protection against odour/staining/deterioration caused by bacteria, fungus and other micro-organisms.The sole has been ergonomically designed to provide a high-level of traction and exceed strict SRC slip resistant standards -essential where slips from spillages is a real risk -and is resistant to various low concentration acids, oils, animal plant oil Specifically designed 200 joule protective cap engineered from a lightweight composite material to considerably reduce fatigue, especially in the case of continuous use and working standing for long periods. 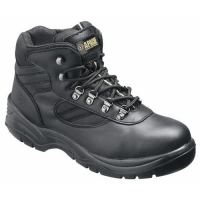 Breathable, water-resistant microfiber upper with moisture wicking antibacterial lining.The wide and roomy toe box area allows feet to maintain a natural position during work. 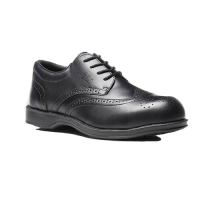 Comfort fitted with a thick anti-bacterial insole.Lace up front with four eyelets and comfort padded collar.